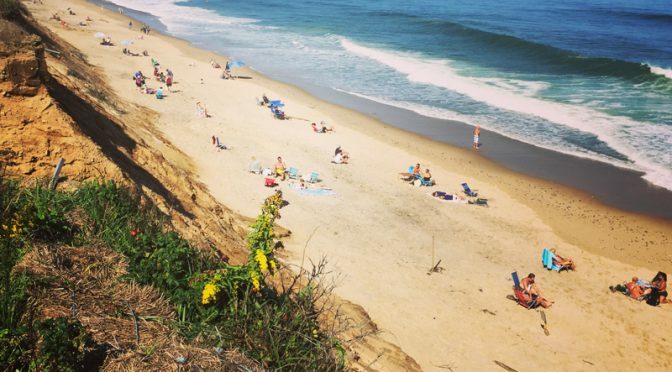 Nauset Light Beach On Cape Cod Is Always Beautiful! 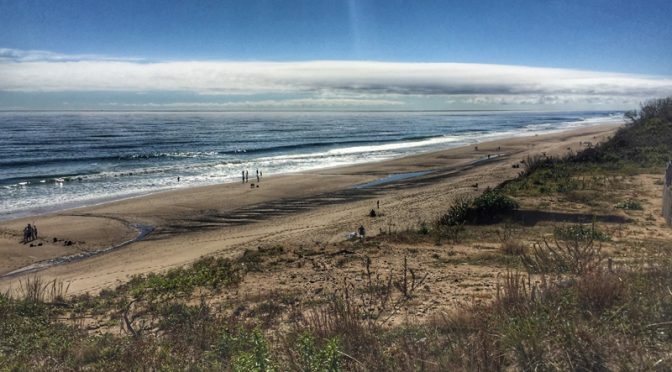 Nauset Light Beach, part of the National Seashore, is always gorgeous and ever-changing. We stopped the other day to take a look and you can see the little sandbars that have formed at low tide. 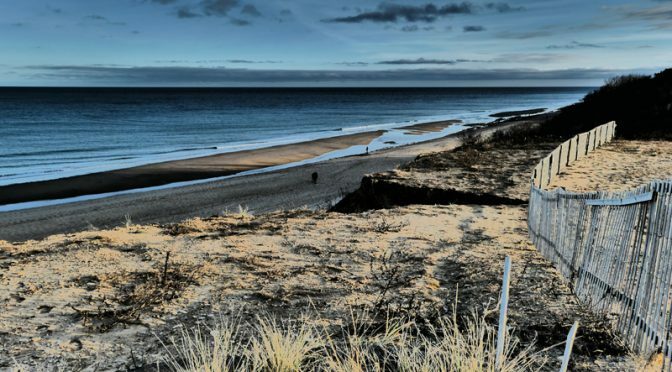 You can also see a huge crack in the dune in the forefront of the photograph. I wonder what Mother Nature has in store for this winter? It was a gorgeous morning at Nauset Light Beach on Cape Cod. The sun was shining and the beach was just spectacular. We were standing by the edge of the parking lot at the top of the dunes. Pretty view, don’t you think? Nauset Light Beach On Cape Cod Was Spectacular! After many, many days of fog, rain wind, drizzle and lots of wind from Hurricane Jose, the skies cleared and Nauset Light Beach, part of the National Seashore, was spectacular! It was a warm day and there were a lot of people enjoying every second of it. 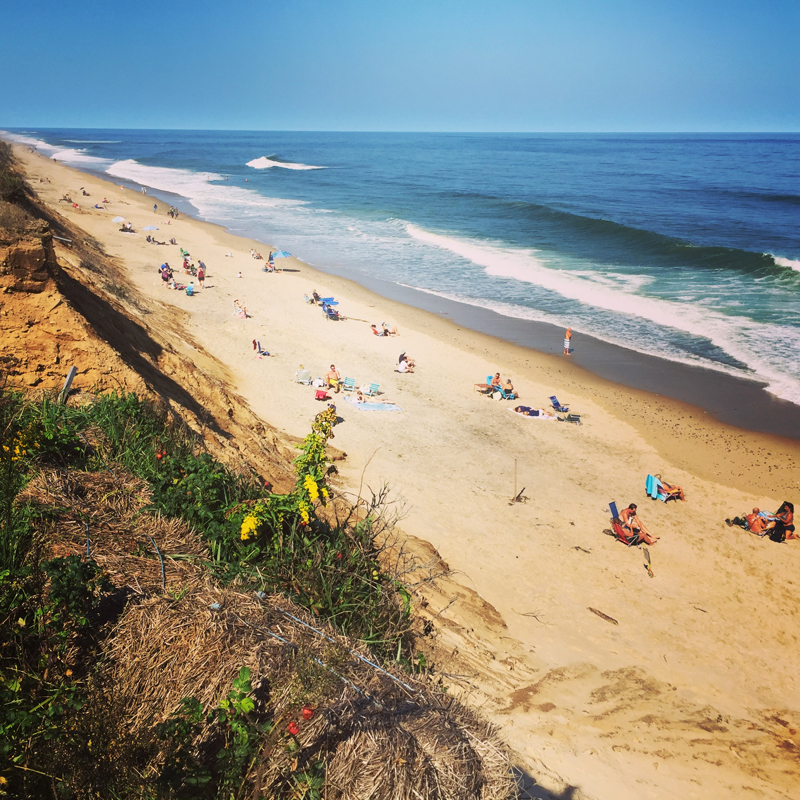 Phil and I were trying to figure out why there was so much traffic yesterday… maybe because it was a Sunday or maybe because everyone who has been stuck inside for over a week finally got outside to enjoy the gorgeous beaches on Cape Cod! 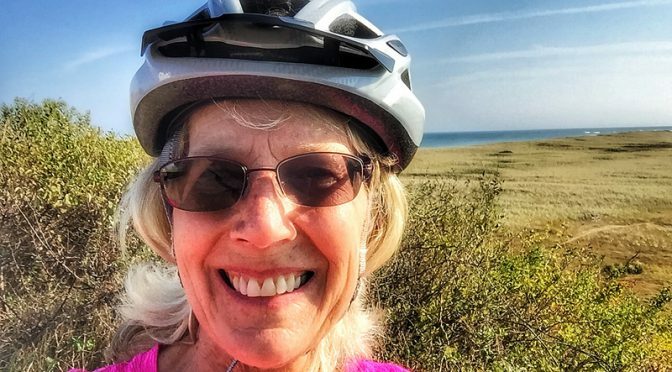 Wednesday was a glorious day for a bike ride… anywhere on Cape Cod. It was sunny, breezy and beautiful with temperatures in the mid-sixties. Just perfect for a bike ride. I got on the Cape Cod Bike Trail and headed out to Coast Guard Beach. I think it’s one of the prettiest rides around here. It was so nice that I continued out to Nauset Light Beach and Nauset Light. You couldn’t ask for a better day and I wondered when the next time I could do this would be with the colder weather coming. So, this is my “selfie” at Coast Guard Beach with Nauset Marsh and the ocean in the background. 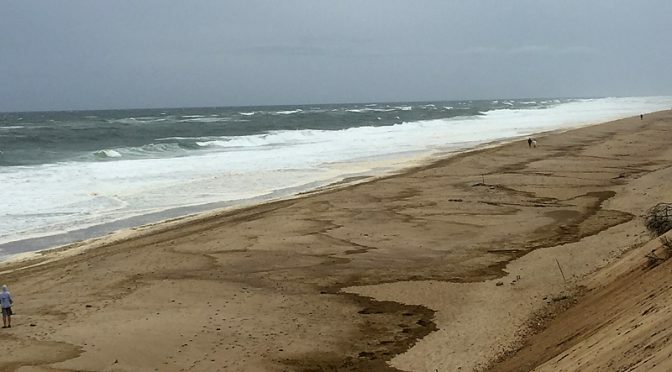 We took a ride down to Nauset Light Beach yesterday to see the waves from the storm offshore. They were huge! And it was still low tide. This photograph is from the top of the steps looking down from the dunes.